Alexis Georgeson/TeslaTesla has been increasing the number of Supercharger stations nationwide. Tesla announced a policy banning commercial vehicles from using its Supercharger stations. The policy applies to Tesla vehicles purchased after December 15 through Tesla or a third-party seller. 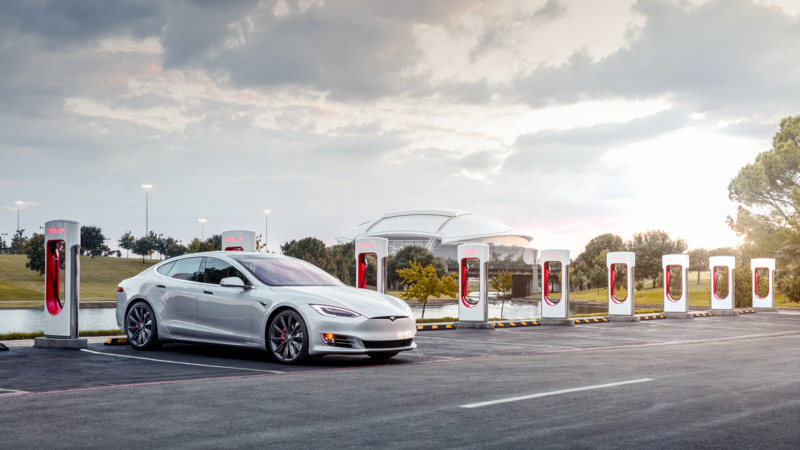 As Tesla continues to increase the number of Supercharger stations available to its customers, the company has introduced a measure to limit overcrowding at its current stations. Called Supercharger Fair Use, the policy bans commercial vehicles from the charging stations. These include taxis and vehicles used for ridesharing, freight delivery, and “government purposes,” according to Tesla’s website. The policy applies to Tesla vehicles purchased after December 15 through Tesla or a third-party seller. “When Superchargers are used beyond their intended purpose, it negatively impacts the availability of Supercharging services for others,” Tesla wrote on its website. “If you charge your vehicle in a manner that does not comply with this Supercharger Fair Use Policy, we may ask you to modify this behaviour.” Drivers who don’t comply with the policy could have their access to Supercharger stations blocked. The Supercharger stations were designed for drivers who make long-distance trips for personal reasons or can’t charge their Teslas at home or work. While Tesla initially didn’t make customers pay to use the stations, it introduced a fee for cars purchased after January 15 as the stations became more congested.